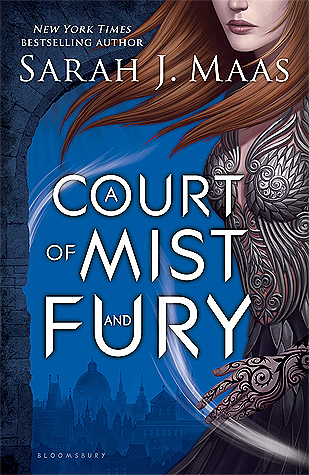 A Court of Mist and Fury follows Feyre after the events of A Court of Thorns and Roses. For spoiler’s sake, I can’t talk much about that, so let’s move on! This book is fantastic. It maintains a fast pace while giving time to further develop the world and the society Feyre has been thrown into. The writing is amazing, which is what I expect now whenever I go into a Sarah J. Maas book. There are thousands of lines that are so quotable but feel completely natural while reading. Passages will stick with you long after you put down the book. ACOMAF is an absolutely breathtaking read that fans of the first book shouldn’t even consider missing out on. Probably my favorite part of A Court of Mist and Fury is the characters, and how they grow. You see learn more about the history between all of the characters, witness sides to them you never expected to see, and grow to love some characters more than you thought possible (that’s not entirely true. I totally called it. Just saying). The new characters have so much charm and depth, you immediately want to be their friends. The relationships that develop feel natural and are completely adorable. Also, I really appreciated how Maas dealt with mental illness and the aftermath of the events of book one. It was handled really well and I loved it. Overall, this book is just perfect. I cannot emphasize enough how much I loved every page of this novel. Please, pick it up now. It’s worth it.